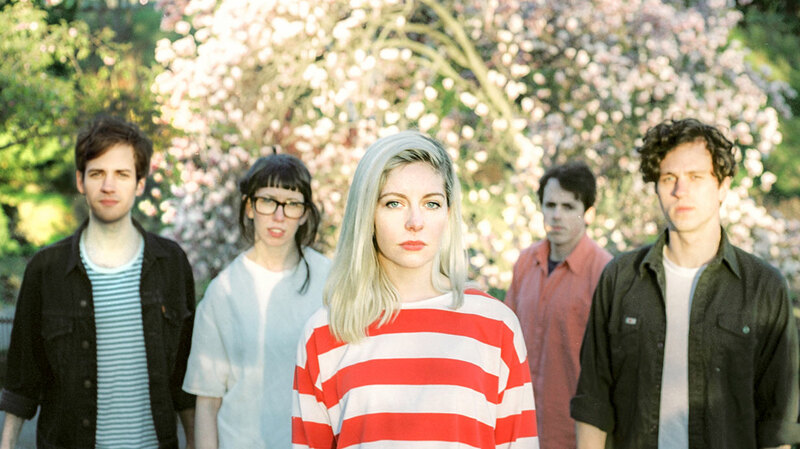 Combining sweetly-melancholic melodies with blackly-humorous lyrics, Canadian indie-pop five-piece Alvvays stole our hearts with their self-titled debut this year. Here, lead-singer Molly Rankin recounts the creative process behind the album, discusses her musical upbringing and explains why, as a band, they’re determined to keep control. Hey Molly, how’s Los Angeles? Did you get involved with American Thanksgiving? Yeah, I have a bunch of American family here, so all of us went to their house. They were trying to explain [American] football to us but it didn’t go very well... Otherwise, it was amazing! It was the hottest Thanksgiving of all time or something – definitely at least 30 degrees Celsius – so we went in the pool. It must be nice to have a little break from playing shows. It feels like you’ve been touring non-stop since the release of the album. Well, our record came out in July and we did do some sporadic touring and festival dates in early summer, but it wasn’t super-demanding. It was October, really, that we began touring without any break. But so far it’s been good! And while we are all excited to get back to Toronto, it’s really rewarding showing up to random cities you’ve never been to, and having people buy tickets to your show. So I don’t feel too jaded or tired, really. So can we go back and talk a little bit about your musical upbringing please? What’s your earliest musical memory? I used to play the piano with my father when I was little. There are a lot of pictures of that, actually. I used to do Scottish step dancing at my grandparents’ as well. So piano and step-dancing was what I was doing when my brain wasn’t developed at all. And then I think the first record I bought was Céline Dion’s Falling Into You. And when did you begin writing music yourself? Did you always hope to take up music professionally? No, I didn’t have any interest in doing it [professionally]; I just did it for fun. I was actually really into sports, and then I got into musical theatre, and then I got derailed from that, ended up going to university for a year to study theatre, ended up going on a huge tour and then never really went back to school. But I still want to go back to school at some point. I’m still relatively young. Being from a musical family [Molly’s father John was a member of country group The Rankin Family Band], did that make your parents more or less supportive of your decision to make music your career? Erm, both? It was sort of like, “enter with caution”. I mean, they’re pretty modern people and just said, “Do whatever you want, but know that it is a very difficult realm to exist in.” But I never had that pressure to be or to do anything in particular. What’s the best piece of advice they’ve given you in regards to the industry? Well, the most important thing that I’ve learned – and that I think they would agree with – is just to do as much as you can, by yourself; never trust anyone to do a better job than you would do yourself, or to care as much as you care about your own work. Also, small details are really important. Doing everything must be pretty exhausting, though? Well, we’re just learning to accept help now, like we just got a tour manager for this US tour. We still drive, and do all of the merch, but he does the sound now, and I’m even letting him plug in my pedals! Actually, I’m only learning how to just let him do that; sometimes I have to do it myself. We are really controlling people so it’s probably hard to work for us! We don’t really trust anyone. You must be quite a tight-knit group, then. You’ve known each other since childhood, right? Yeah, the boys know each other from Junior High and High School, and Carey and I grew up on a different island and have known each other since we were three or four. Did the five of you bond over shared musical influences? The boys grew up in the same musical scene on their island, and so I think a lot of their common interests brought them together, and Carey and I have a lot of similar tastes. When we were 18 or 19, we were going to all the same shows and just sort of agreed on everything. So I would say we all have slightly different tastes but a lot of the same common denominators, like we all love pop music. We’ve been listening to the new Taylor Swift record and we all agree on some of the songs being really good pop songs, but equally we all love The Stone Roses, The Feelies, Cocteau Twins, Teenage Fanclub and The Smiths. There are also certain things that we don’t all agree on, but a lot of it is the same. One of the things we love about the album is that marriage of really sweet, gently melancholic melodies with blackly-humorous narratives. 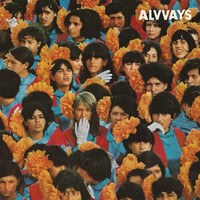 In that respect it reminds us a lot of Belle and Sebastian and Camera Obscura. I remember I really liked Real Estate at the time that we were recording the record, and the band Women from Calgary, who [Alvvays producer] Chad Vangaalen also produced. Did you know Chad before you approached him to produce? We knew a couple of people who knew him, but I had never met him. I think all we did was just send him an email, basically. I was just a big fan, and I liked how he can be loud and noisy while still very attentive to the vocal. That was the big priority for me. I really like what he did with ‘The Agency Group’; recording-wise I feel like that one sounds the best on the record. How long did the album take to put together? Probably a year, but some of the songs were older. It ended up taking a couple of years to get the funding, because we were working minimum wage jobs. But the actual recording of the record probably took three weeks all together. Can you tell us about the creative process please? Is it totally collaborative? Well, Alec and I do all the writing: I bring all my ideas to him, and plead my case for a certain song, and then we tear everything apart and put it back together. We bring everyone else into the situation after we have done that. Lyrically, where were you drawing inspiration for stories like ‘Next Of Kin’? It’s just my imagination. And I also read a lot of graphic novels. I mean, I don’t have a lot of experience in drowning boyfriends... (Laughs) I don’t know! I don’t really like talking about my own writing to be honest! Is there anything you learned about yourself as a person, writing this record? That I’m a little bit of a downer? I’m just poking fun at my own depressed state, though it’s not a very earnest depression. You self-released your debut a year before it got a proper release, so have you begun working on the next album? Yeah, we have a bunch of new songs we play in the set and we’ve started planning to get back in the basement and record again. I don’t know when; just whenever we finish touring I guess. Anything else you can share about the next album? It’s a little bit more upbeat? That’s about all I can tell you!